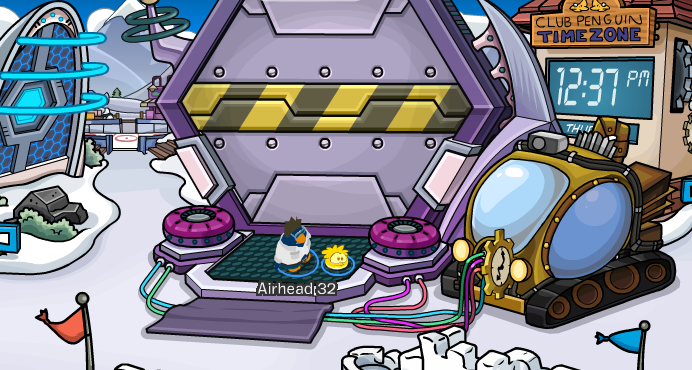 Time Trekker and Time Travel Portal at Snow Forts! If you have visited the the Snow Forts recently then you would have noticed a huge time travel portal that we'll be using to travel into the future. You'll notice the Time Trekker is connected to it so we'll need both to get to the future. I can't wait to go into the future and see what cool things our island will have! Sadly, Protobot will be there to ruin it for us unless we defeat him. Future, here we come!